The Clover Flower Earrings are made from sterling silver sheet metal which has been pierced by hand then folded to create 3D flower form. The Clover Flower Earrings are made from sterling silver which has been oxidised. 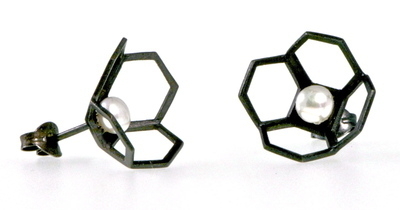 Freshwater pearls have been added to created contrast in the piece.